What's included in our parties? 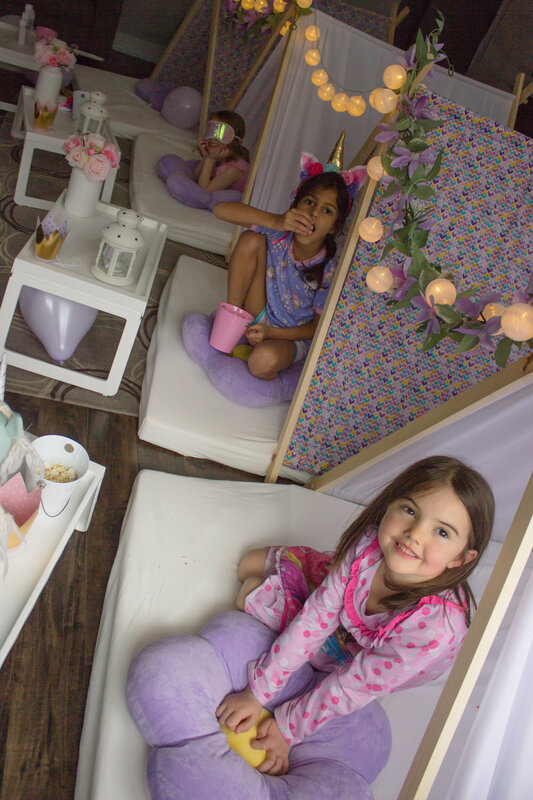 **Each tent allows you to have a maximum of 2 kids by tent for a 2 hours afternoon Slumber Party. 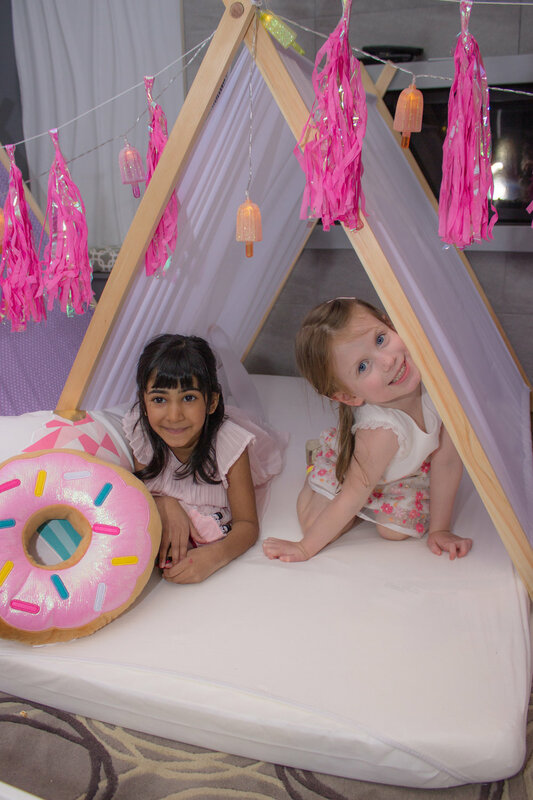 If you are having an overnight party, we recommend one kid per tent. ● 1 Free Slumber Party Game Box . ** If you don’t need these items we can remove them from your party, however they are available as part of our packages. Need more Tents? That's easy, for $70 per tent we can expand the package to include as many as you need.